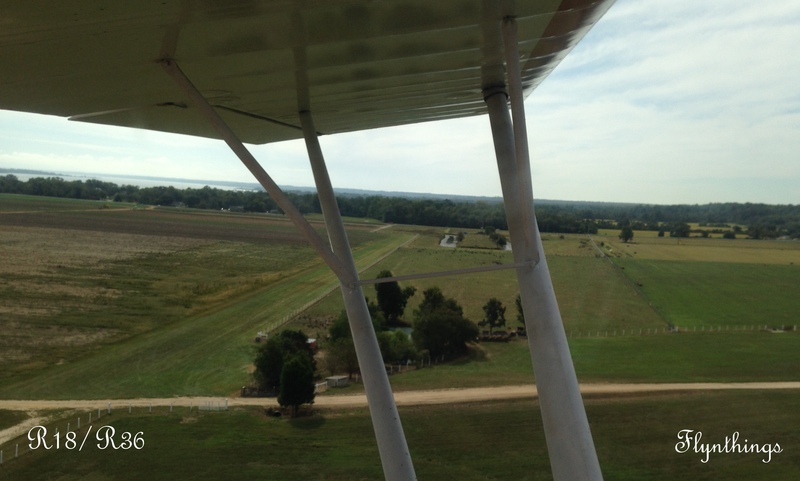 Robinson airport (MD14) is a small private, grass airport along the Patuxent River, but inside the SFRA. There are two grass runways : R9/R27 and R18/R36. They are difficult to identify if you are not familiar with the airspace. Huge smokestacks to the left of them along the river give an indication of where to look. R9/R27 almost looks like a grass field and not really a runway. If you didn’t know it existed, you likely wouldn’t have thought it was one! R9/R27 is the larger runway at 2,600ftx70ft, bumpy and running a little uphill, when landing on R9; while trees line the end of R27, requiring a higher than normal approach, and a more precise landing. R18/R36 is the smaller runway at 2100ftx60ft. The runway is better marked out, making it easier to recognize from the air. Trees on the end of R36, necessitate an oblique approach and last minute correction to align with the runway. 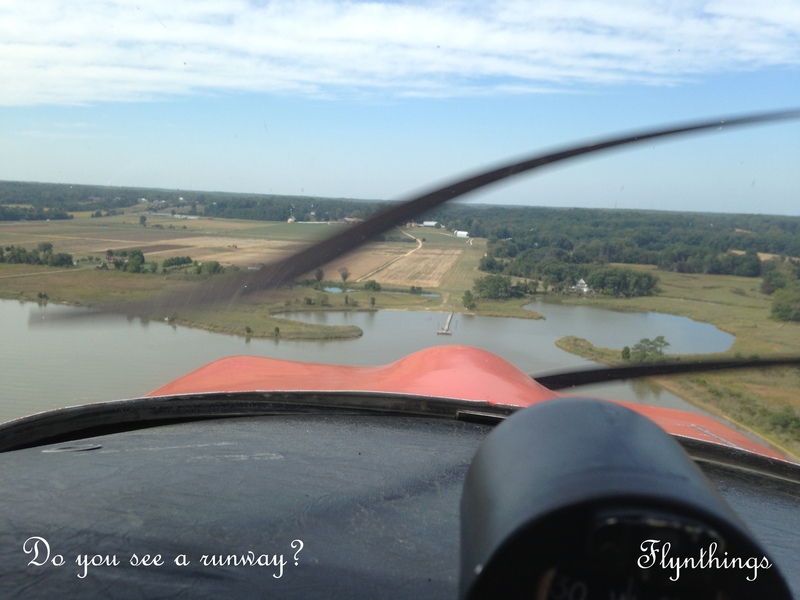 Both runways require precision airspeed control for a good landing! Low clouds and visibility prevented us from heading out to Robinson immediately we departed Potomac Airfield. So we proceeded to our usual haunting ground, Maryland airport for some three-point landing practice. As the coastline started to clear, we headed out to Robinson. 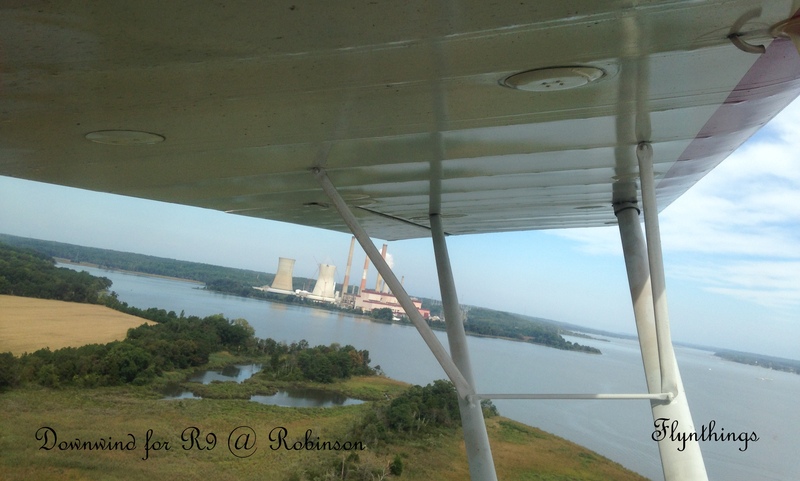 Enormous smoke stacks, identify the general area where Robinson airport lies geographically. Once arriving there, we were almost downwind for R9. We followed over the river, turning base and final, following the pier, for a landing. Feels a little weird since the runway looked like a field, with bumps and uphill climbs ending at the line of trees! Before I knew it, at full throttle we were out of ground effect, and climbing at 60 knots, to clear the trees, before turning around and returning for a landing! This was way too much fun! The setting was picturesque too… the river, the green trees with the barest hint of yellow starting to creep in, the enormous smokestacks and blue skies, all rendered a beautiful setting. With no one around, we could take-off and land any which way. 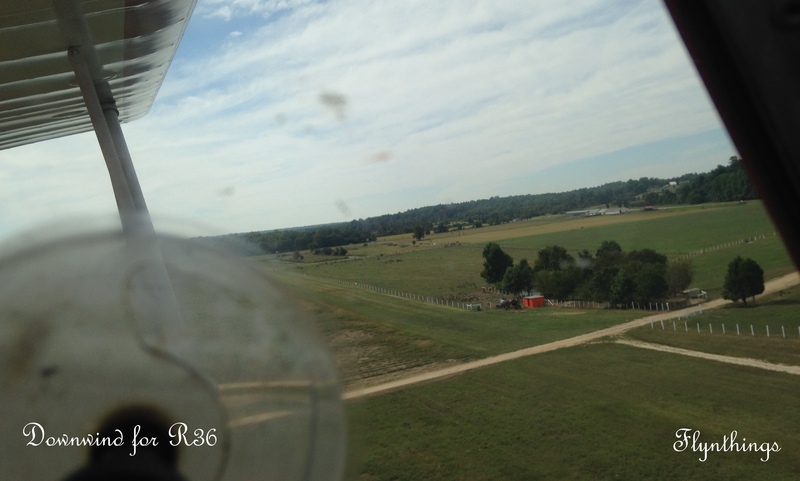 Sometimes on R9, sometimes on R27 and finally we switched around and tried some landings on R36.